Into the Gobi….in Mother Russia. Later this summer I’m heading into the Gobi for the second time, but beforehand I wanted to look at some important and famous ankylosaur specimens that had been collected in the 1940s. But where were these specimens located? In Moscow! 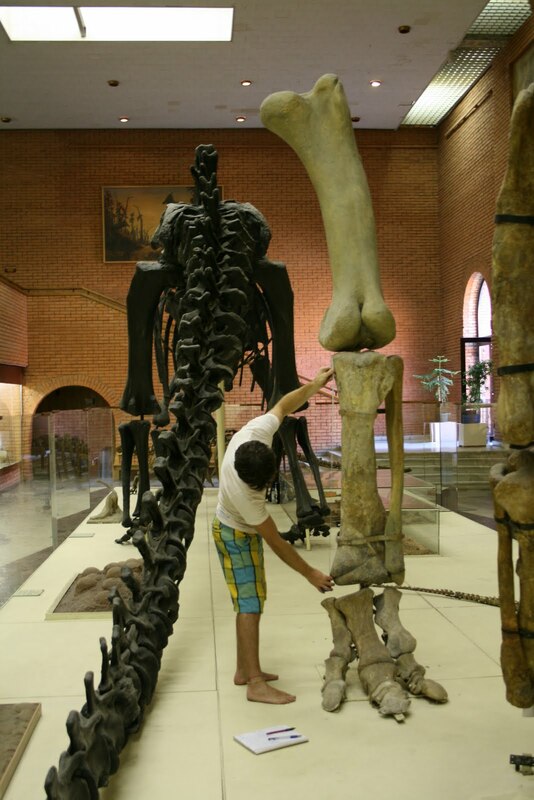 So, off I went with three of my labmates to spend a week at the Paleontological Institute in Moscow. 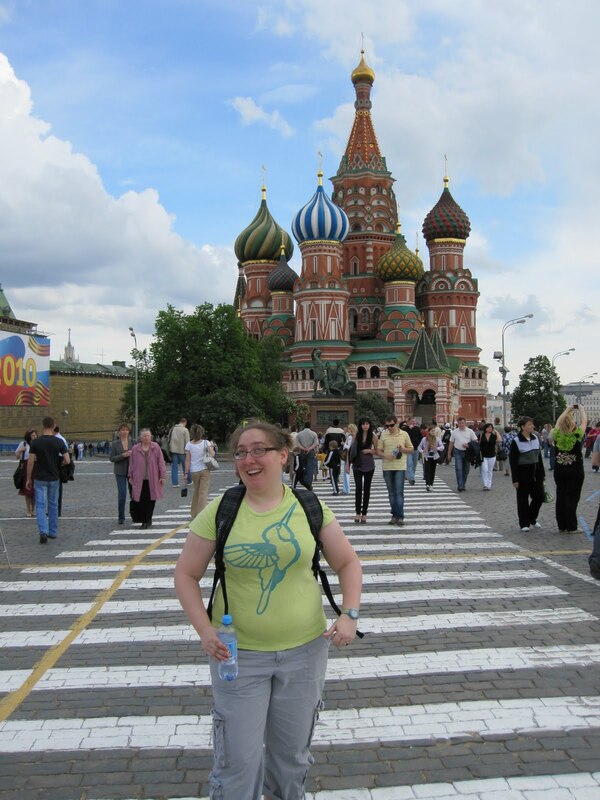 We spent a day touring around Moscow, mainly around the Red Square. 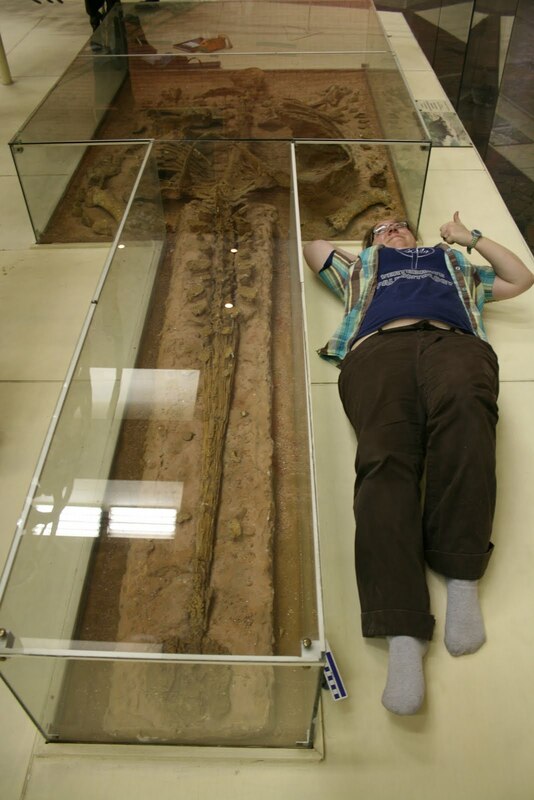 Phil with a rather large Saurolophus leg. 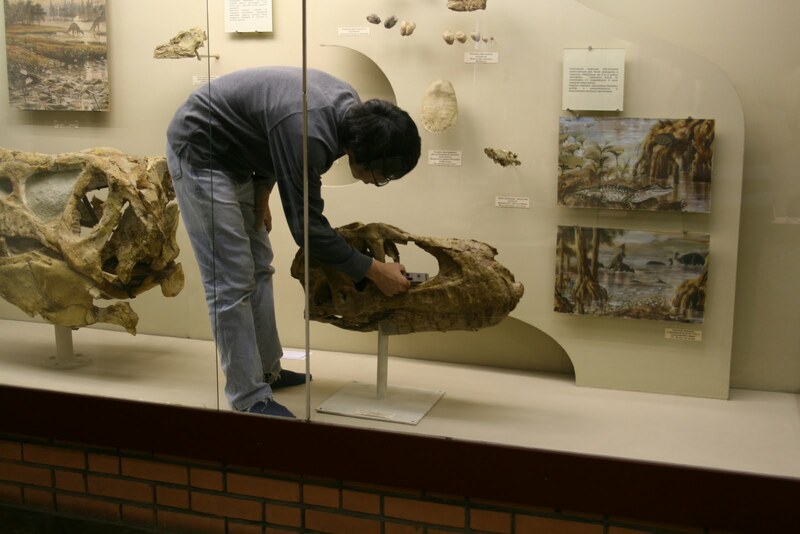 Tetsuto with a rather small Tarbosaurus. 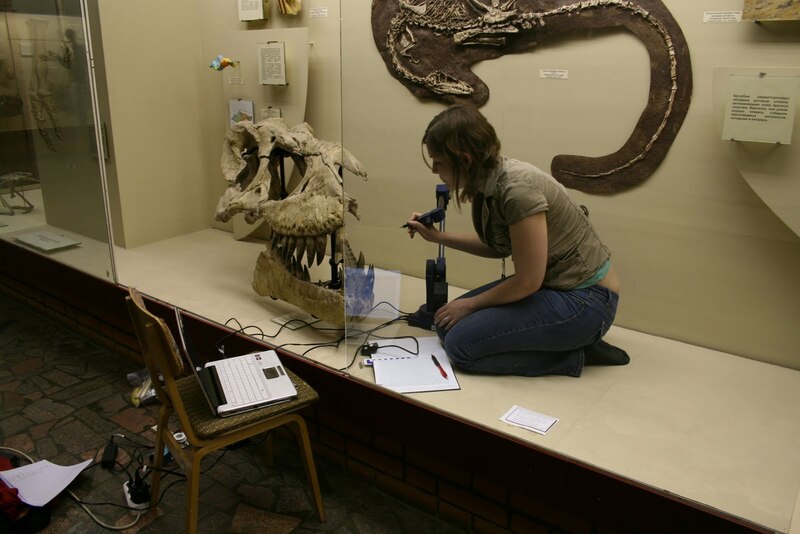 Miriam with a slightly bigger Tarbosaurus. And me, with a very nice Pinacosaurus! Victoria approves! 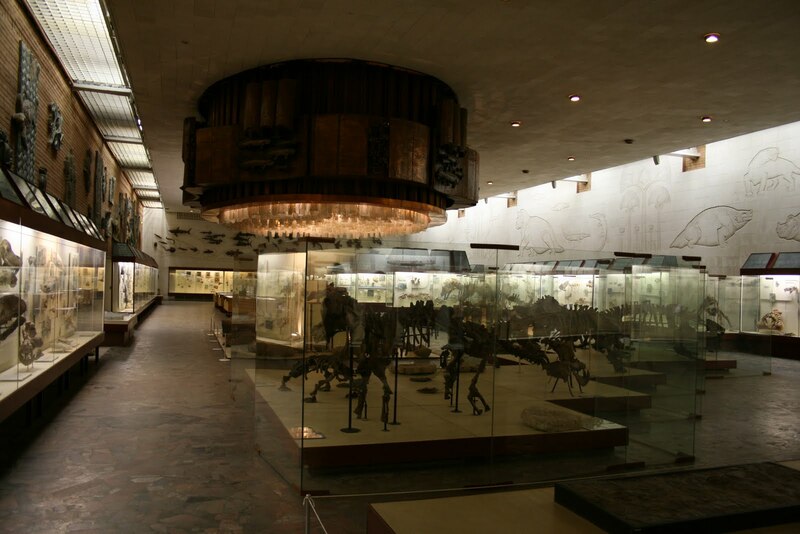 It was a splendid museum, and although I work on dinosaurs it was really wonderful to be able to see the enormous collection of Permian vertebrates on display in the Palaeozoic Hall. 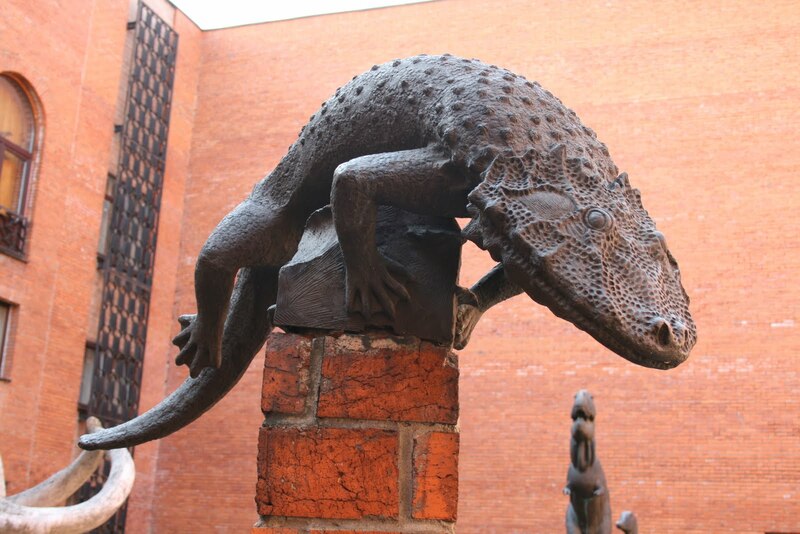 If for some reason you are visiting or passing through Moscow, make a point of visiting the museum. It is a bit off the main tourist track, but quite accessible by the Metro on the orange line. Pareiasaurs and a very cool chandelier in the Palaeozoic Hall. 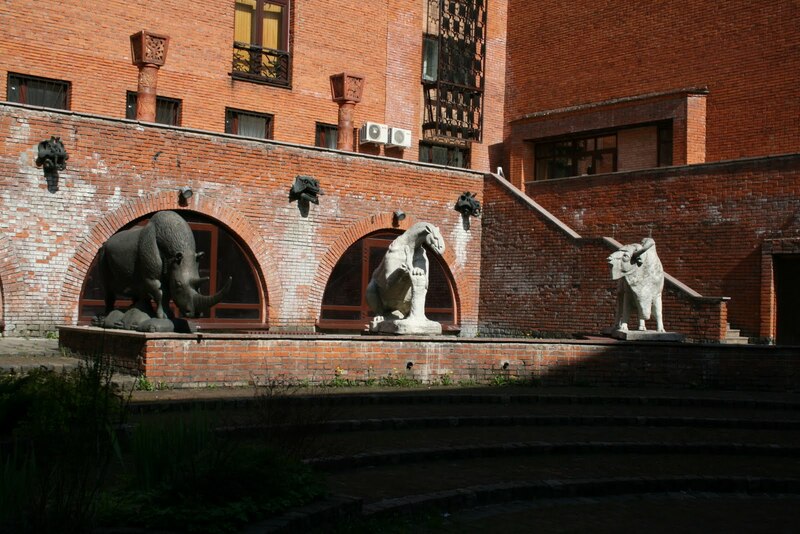 There was also a very nice courtyard with excellent and diverse statues! Many thanks to all of the folks who helped us out during our stay, and put up with our nearly complete lack of Russian language ability. I hope to return someday! ← Some congratulations are in order! 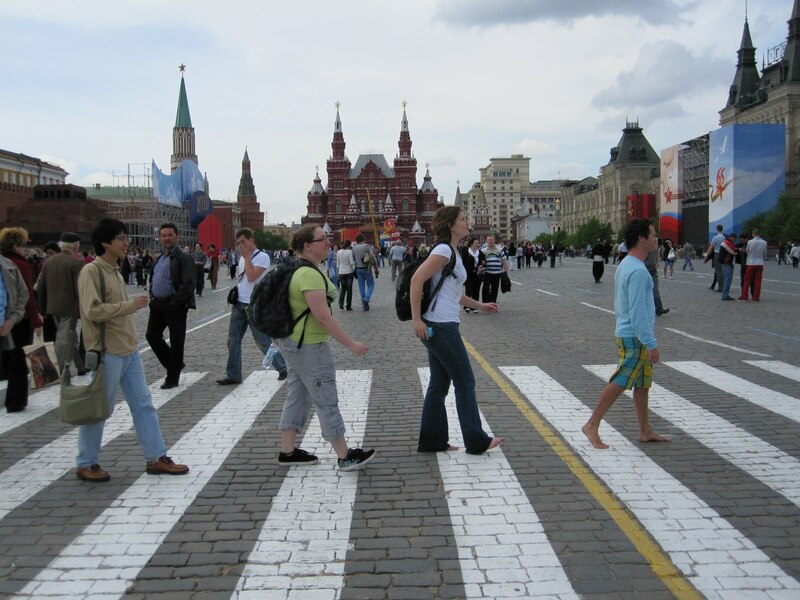 Good God, did Phil even bring shoes to Russia? The pictures make me think of this: http://www.youtube.com/watch?v=G0LtUX_6IXY.